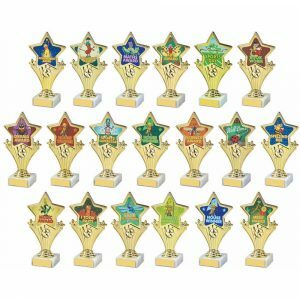 “Reach for the stars!” takes on a whole new meaning whenever these trophies are up for grabs. 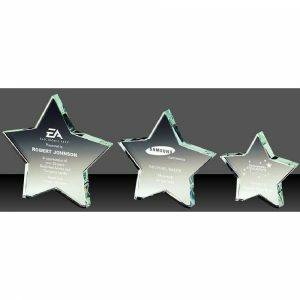 These glittering awards will look fabulous on your presentation table – and they’ll make heavenly gifts for the successful contenders at your sporting competition or corporate event. 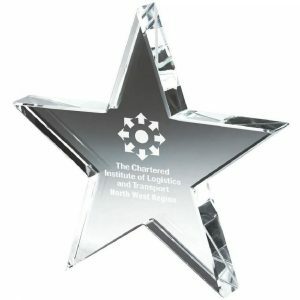 We can even deliver them directly to your door and it won’t cost you the earth. 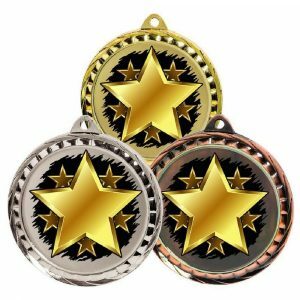 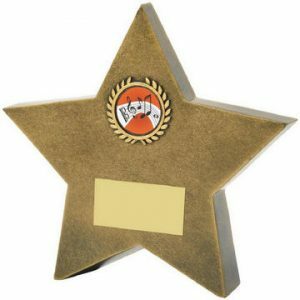 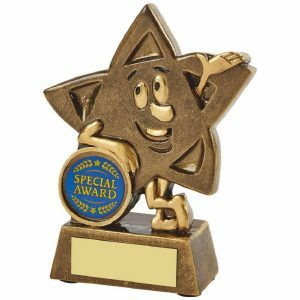 You’ll definitely be seeing stars when you check out our online store, as we’ve stock a vast array of star-shaped trophies and awards. 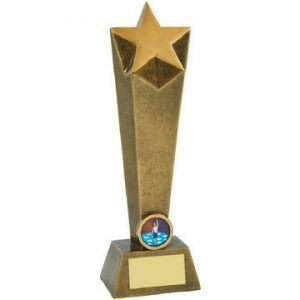 Whether you want to mark someone’s success in sport, celebrate a member of your sales team’s efforts or commemorate a student’s academic achievements, we’ve got the perfect trophy for you. 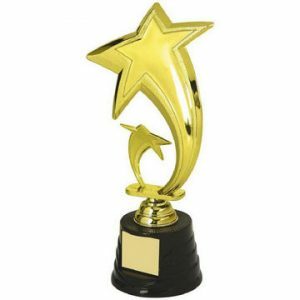 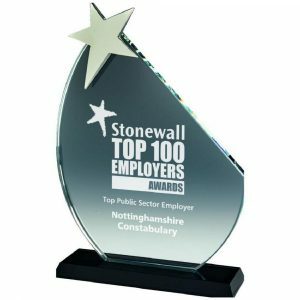 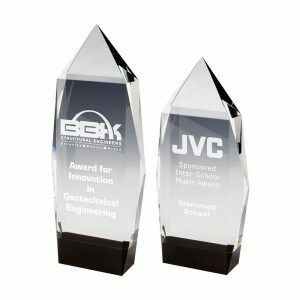 Our range includes trophies made from everything from practical plastic to elegant glass in both traditional and contemporary styles, and most of them are available in several sizes. 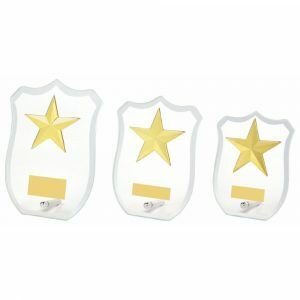 Whether you’re searching for something in gorgeous gold, stylish silver or even vibrant pink, we’ve got a product you’ll love at a price you can afford – and you can order as many as you like. 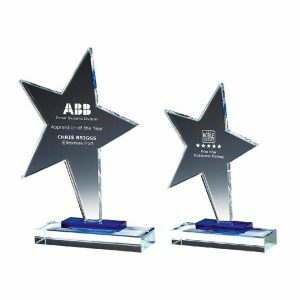 You’ve probably heard the saying that something’s written in the stars – well, when you buy our awards you can have something written on the stars instead. 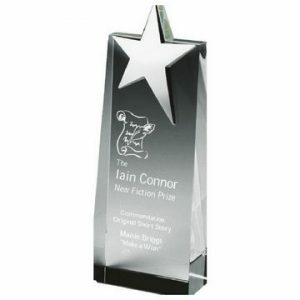 Our in-house engravers can individualise each piece to ensure that the recipient always remembers your event. 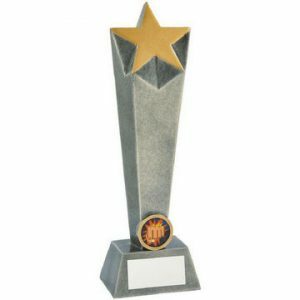 Simply decide upon the wording that you’d like to include and complete the relevant section of our online order form, and we’ll engrave your message on your trophy. 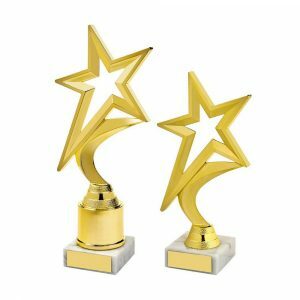 We pride ourselves on the speed with which we fulfil our customers’ orders, so you won’t have to wait long to receive your purchases either. 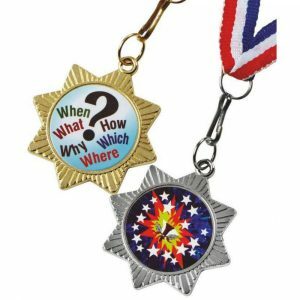 What’s more, if you have any questions or need any extra assistance, contacting us is simple – just call 020 8722 0250.